Pure ingredients and the natural environment add to smooth and mellow character of our award-winning Tomintoul Speyside Glenlivet Single Malt Scotch Whisky, “the gentle dram”. 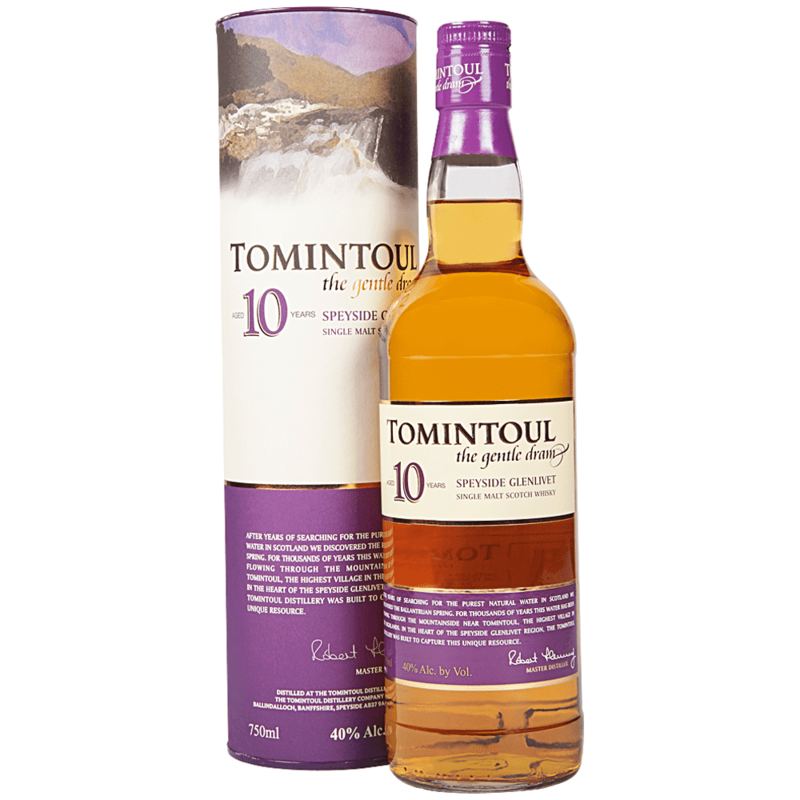 Tomintoul Aged 10 Years has been lovingly crafted from a selection of the finest bourbon casks, each aged for at least ten years. Tomintoul Distillery is located inside the picturesque Glenlivet estate, within the whisky producing region of Speyside. The distillery is named after the nearby village of Tomintoul, the highest village in the Highlands of Scotland. The Distillery Manager, Robert Fleming is a fourth generation distiller, born and bred on the Glenlivet estate.